Having an appliance stop working can cause a lot of stress and inconvenience in your life. If you’re looking to get your appliance repaired in the Bushwick area, however, we are here to make it a whole lot easier. Here at Appliance Repair of Bushwick we have been helping customers get their appliances up and working right for many years, and we’d be glad to add you to our list of satisfied customers. If you’d like to make an appointment for one of our repair professionals to come out and fix your appliance, please give us a call at 718-517-2235. We can answer any questions you might have and schedule a time for us to come out that is convenient for you. Whether the appliance is completely dead or it is just not working the way it should, let us diagnose and repair it right away. Our team of appliance repair professionals can fix virtually any type of appliance you can imagine. The following are some of the most popular items we work on, but even if your appliance is not on this list we would be happy to help. We regularly work on refrigerators, freezers, washers, driers, ranges, ovens, cook tops, dishwashers, microwaves and air conditioners. Also, we work on virtually every brand name of these appliances including Frigidaire, Electrolux, General Electric, Sears, Kenmore, LG, Whirlpool, Samsung, Maytag and many others. No matter what make or model appliance you are having trouble with, we are here to help. One of the biggest questions our customers typically have is whether or not it is worth it to fix a problem on their appliance. The general rule of thumb in the industry is that if the repair will cost more than 35% of the cost of buying new, it is not worth it to get it fixed. The fact is, however, that almost all appliance repairs in Bushwick can be completed for significantly less than this. 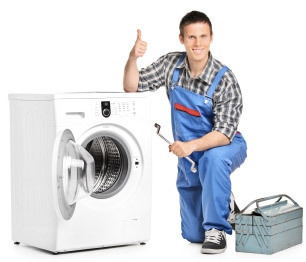 We work hard to keep our costs down, which helps to ensure that fixing any type of appliance is a smart investment. Of course, the money is not the only thing to consider. You’ll also want to decide whether or not you actually like your appliances. For example, if you have a very outdated refrigerator that is not energy efficient and doesn’t have the features you want, then it might be a good idea to buy new. If you’re otherwise happy with the appliance, then you’ll want to make sure to get it fixed so you can enjoy it for years to come. If you have any questions about our repair services please don’t hesitate to give us a call at 718-517-2235. We can come out to your home or business anywhere in the Bushwick area and get everything up and working properly. Thank you for considering Appliance Repair of Bushwick, we look forward to helping you soon.